I recently got back from an out-of-the-country trip. While it wasn’t to a third world country, it did give me as an American perspective. We’re spoiled. We’re fat. We’re American. I often wonder what others think of us. In one island country I visited, they drove on the opposite side of the road. I was trying to reboard my bus after a stop and the driver and others started yelling at me. I’m like, what the heck, people, I’m getting on the bus. I finally realized they were asking me if I was driving because I went to the right side of the vehicle. I made a joke about it, “sorry, dumb American!” We all laughed. Some may see America as the land of the spoiled, fat people, but more often than not I think we’re looked upon as what others aspire to be. I think sometimes we as Americans forget that. I know I take for granted a lot of things. Things I assumed was pretty much standard in the industrialized world. One thing I assumed most countries had was closed captioning. This week, Stenofabulous gained a new Twitter follower, @captionitNZ. I’m also a nosy American, so I did some stalking on their twitterfeed. They’re an advocate for captioned programming in New Zealand. It turns out that New Zealand does not require television to be captioned 24/7 like it is here in the US. Only 24% of New Zealand’s programming are captioned, which surprised and saddened me. As I understand reading their website, CaptionitNZ, or Captioning Working Group, is made up of three organizations, Deaf Aotearoa, The Hearing Association, and National Foundation for the Deaf. 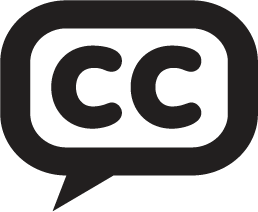 CaptionitNZ wants to get legislation passed that would require captions that are standard in America, Britain, Australia, and other developed nations. They’ve actually started a petition on Change.org. Another thing that surprised me was that no stenographers are a part of their group. In fact, I couldn’t find any support of the New Zealand steno community on the web. Now, I’m not bashing them. I’m a world away. New Zealand captioners may well be pushing for more captioned programming for all I know. In America, NCRA is very vocal and supportive of the deaf and HOH community when it comes to programming. I understand that New Zealand doesn’t have an association equivalent to NCRA (per NCRA) so perhaps that is a factor as well. I didn’t really understand how vital captions were until I became a captioner. Before it was just something that was required by law. But as I was preparing to be air-ready, I asked a captioner, “what do I do if they’re arguing and talking over each other? I can’t get everybody.” She told me to just do the best I could, but remember to make it make sense so that if a deaf person was reading it they could understand what was going on. It dawned on me then. I wasn’t just writing for people sitting in a restaurant, or gym goers on the elliptical. There were people out there who can’t hear who need this information. Can you imagine how 9/11 would have been like if you as a deaf or HOH person saw the images on television, but had no knowledge what was being said? Now, I know I can’t change things in New Zealand being an American citizen. But I can do what Americans do best: Raise awareness. If you’re a New Zealander, or you know someone who is, please forward this post to them so they can sign the petition to require captions in New Zealand.